Chain & Clasps Sterling Silver Charm Chain Bracelet, 7.25"
This sterling silver chain bracelet is the perfect start to a charm bracelet. Measures 7.25". Lobster clasp. 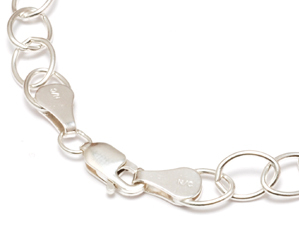 This is an absolutely perfect charm bracelet - dainty yet substantial!